The blogger world is moving at a fast pace – particularly in the fashion industry. More commonly known now as influencers: social media is their stage. 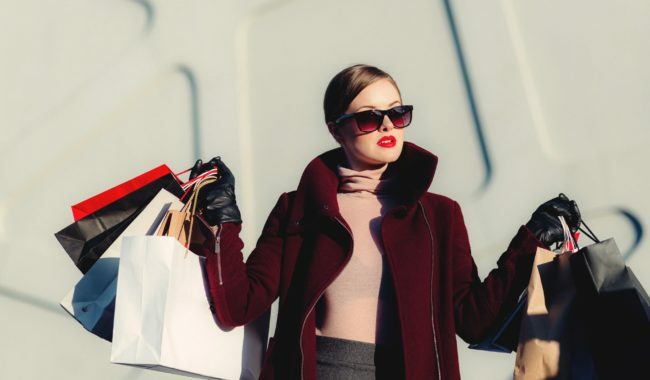 Fashion influencers are vital in today’s marketing environment; consumers want honesty and transparency, they want to relate to these self-made icons. They trust the voice of influencers as they feel they know them personally due to the accessibility of information on the internet combined with instant gratification, leading to the beautiful two-way communication and relationships that can be made – its a new form of peer to peer marketing. Here are my top 5 fashion influencers, who I think are changing the game. @sarahhashcroft on Instagram has taken over the blogging/influencer world. Starting out with a blog ‘thatpommiegirl’, Sarah Ashcroft has grown into an online superstar in her own right. With 873k followers and counting on Instagram, not to mention her collaboration with e-commerce brand ‘In the Style’, in my opinion, Sarah is the fashion influencer queen. Sarah Ashcroft is super relatable, which is what makes her so popular. She wears high street and e-commerce brands like Pretty Little Thing, making her style affordable and attainable, so her audience can copy her every inch of her cool-girl fashion sense. Her style is exactly what a typical 23-year-old wants, she’s honest, and resembles her audience – she’s in line with current fast fashion trends, celebrities and pop culture; she drinks cocktails and fake tans. Her engagement is her power and that’s why, in my eyes, she’s right up there with the very best. @emilyshak has the style, pose and the location goals. Her style is high fashion mixed with low. Its aspirational. One of the first to adopt the latest trends, yet in her own way. Combining this with backdrops like Dubai, Mykonos, Turkey and Beverly Hills; just to name a few, makes her following, and reach incredible. Emily’s confidence on her blog aids her style – which can only be described as a fusion of boho, meets athleisure and streetwear, teamed with a pinch of high fashion and sophistication. @X_Carms is relevant right now! The look and feel of her Instagram is everything that is happening in the social world at the minute. I love her content and for me it is second to none, with daring and different fashion choices, lose-up product shots of her highly desirable accessories, engaging copy, and aspirational locations from tropical destinations to bustling cities. She captures the essence of what her consumers want – for example, she’s often spotted at hot spots like Coachella. Her content is truly inspiring and exciting, and I can’t wait to see where she takes it. Fashion blogger @thatblondegirl_fern has tonnes of personality. Fern has a frequent and diverse feed to keep engagement up and followers going up and up. She posts lifestyle content and memes to give her followers a true insight into her and her personality, including her work, friends and relationship which shines through in her content. Her feed is down to earth and extremely likeable and her role as a Topshop Personal Shopper allows her to showcase her favourite picks, which I can’t get enough of! @emilycocklin has especially strong, stunning imagery and photography. Each image on her feed is filtered to provide a minimalist aesthetic – she lets the clothes do the talking. Her photos are high quality product shots modelled by herself, or mirror images. Simplicity is key with a white background – her neutral-feminine-meets-tough-power-statement sense of style stands out against the noise on all our feeds. Once again, she’s upper market through to a mid-lower market level, enticing all consumers. So, that’s five of my favourite fashion influencers who are currently smashing it! There’s hundreds if not thousands more that could have made the list, let us know who your favourites are.